“Because Java touches nearly everyone – everyone – who touches the internet. Hundreds of millions of users see Java, and its ubiquitous logo, every day. On PC’s, mobile phones, game consoles – you name it, wherever the network travels, the odds are good Java’s powering a portion of the experience. Basically, this change is only symbolic and should have no effect on Sun’s business. However, it’s certainly going to cause a bit of confusion, at least at first. The previous acronym stood for Stanford University Network Workstation. On the other hand, the move is sure to attract some criticism. 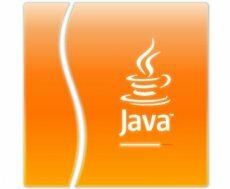 After all, if Sun wanted so much to take a larger bite out of JAVA’s glory, it should’ve also changed the company name to JAVA. Mandriva To Microsoft: Stop With Your Nigerian Scams!